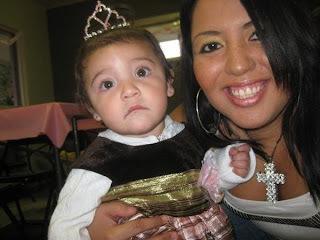 This is a picture from my niece Ana's 1st birthday party. She's My little princess. I will post more pictures from the party when I get home tonight. I like that necklace you have on! I don't feel so great!!!! HAPPY BIRTHDAY TO MY BEST FRIEND!!! !